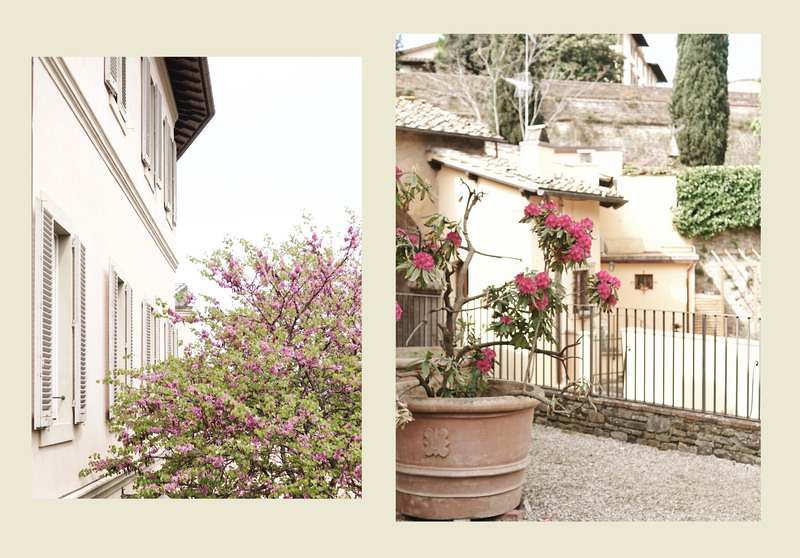 Spring has sprung in Florence. And along with it have arrived not only the flowers, the scorching hot Tuscan sun, but also the many different art exhibitions. I’ll admit that I have been slouching a little these past few months here, telling myself that I’ll get out of bed and explore the museums of Florence when the weather, finally, becomes more bearable. Thus after what felt like years of perpetual rain and unexpected snow falls, I was ready to leave the comfort of my house as soon as the sun made its grand appearance. 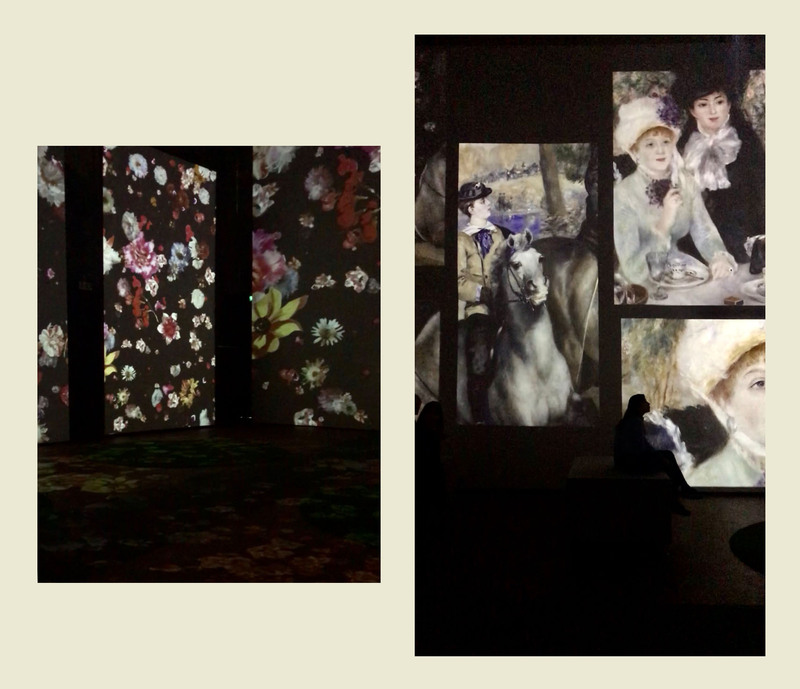 The first exhibition that had been on the top of my bucket list for a little while was the Monet experience. Located inside the auditorium of Santo Stefano al Ponte, the exhibition began with a visual 3D introduction of some of Monet’s best known paintings such as the Woman with a Parasol, Poppies, and the Japanese Footbridge. It was then followed by a digital exposition of further works, inspirations, and personal relationships. 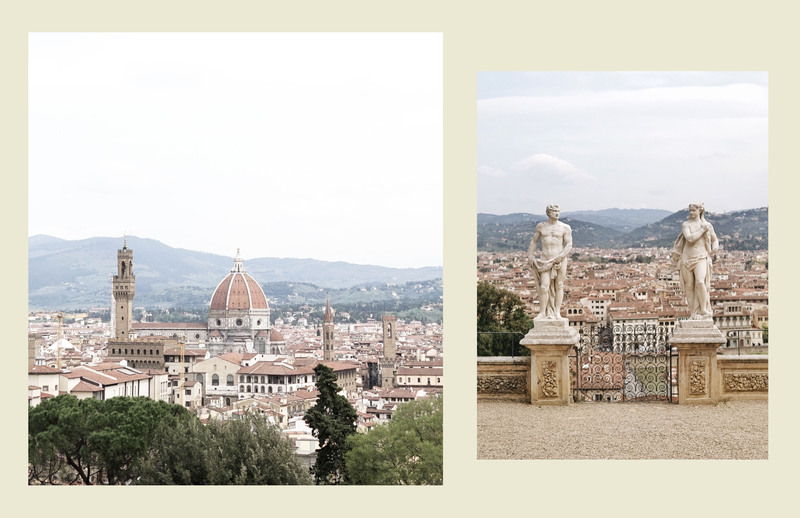 It was both beautifully curated and presented and runs until May 1st so if you find yourself roaming the streets of Florence with nothing to do, this might be the activity just for you! Spring is also the best time to hit the Giardino di Boboli as we all study abroaders in Florence might know. But besides trotting the massive garden that inspired the Jardins du Versailles, I also had the chance to stop by another romantic garden in Florence – Giardino Bardini. Much smaller in size but equally as charming. The grand views of the Duomo are unbeatable. Lastly, did you know that Cinque Terre is only 2.5 hours away from Florence by train? (Really not bad!) 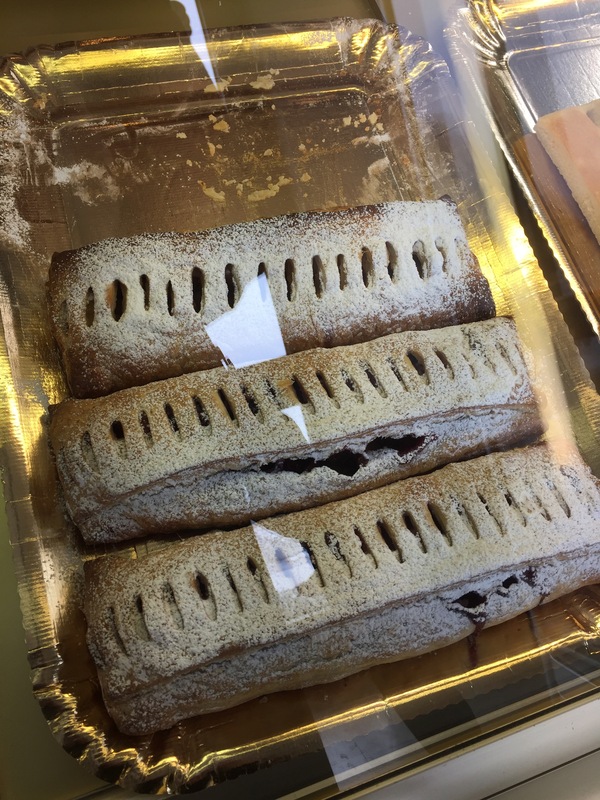 Some visitors might say that it takes up to a weekend to discover the different small towns in Cinque Terre (five in total – hence the name) but a day trip can be feasible when staying only in one main destination – Monterosso al Mare. And if you’re ambitious, you could check off the other villages from your list! 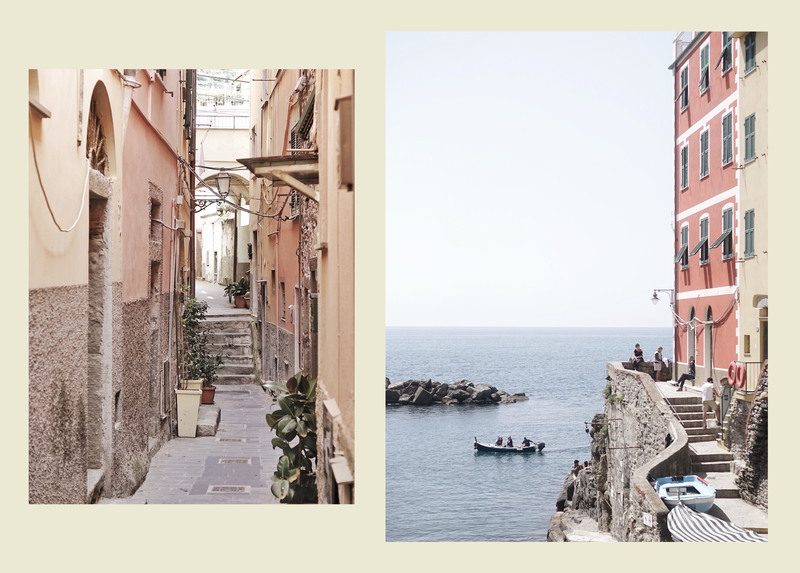 Wherever you might choose to visit in Cinque Terre, expect nothing but sun, blue-as-can-be Mediterranean waters, pastel color houses, and steps… lots of steps. I hope you are having a lovely spring time wherever you are in the world. Here in Florence we are starting to get the first tastes of spring with warmer temperatures and sunny days peeking through the spring rain. April showers bring May flowers let’s hope right? 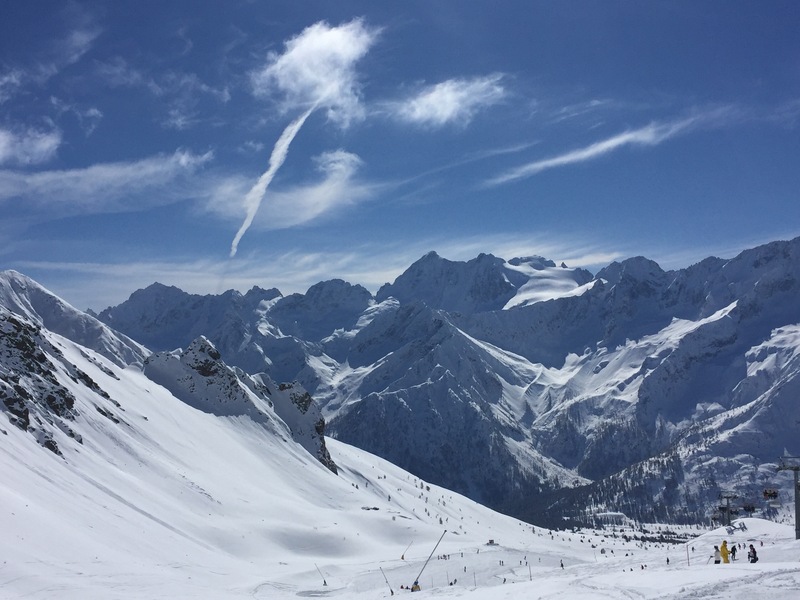 A few weeks ago though, I went the opposite direction for spring break, away from the warmer climate of the south and north to the Italian Alps. When one usually thinks of spring break, warm beaches and fruity cocktails come to mind. 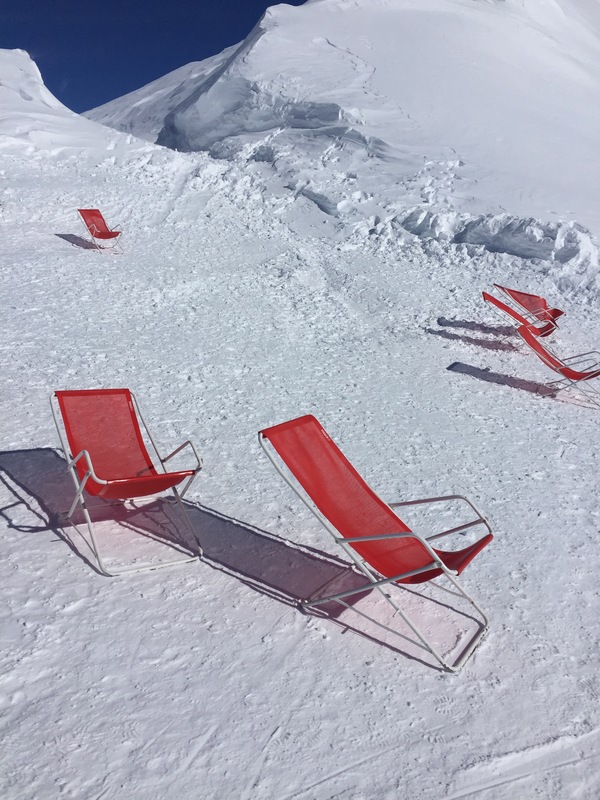 This year though, I was dreaming of ski slopes and the warm apple strudel of Alto Adige! 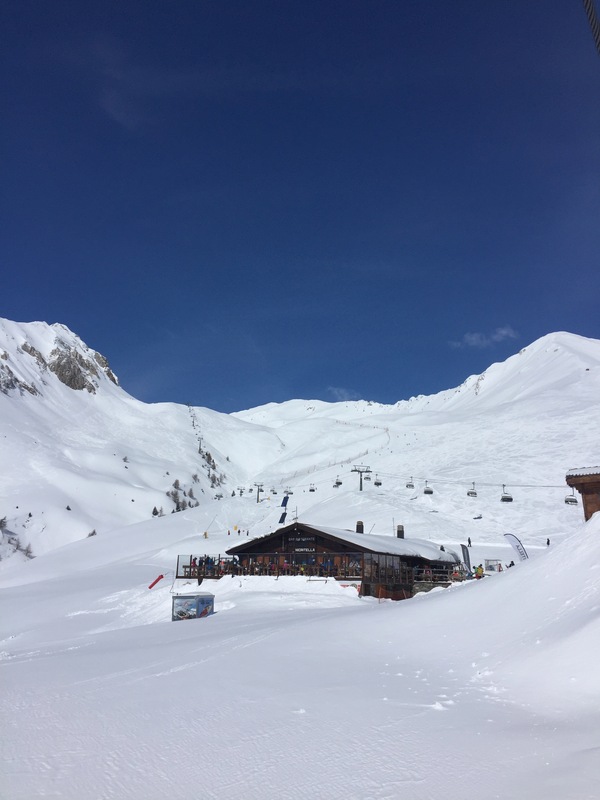 I spent the week in Passo del Tonale, near the border with Austria, and am pleaded to say I ate enough speck, strudel and drank enough apres ski hot chocolate for two people, but justified it by skiing it off every day! I highly recommend this beautiful little mountain town with the most kind people I have ever met and definitely some of the best skiing in the world. I used to come here with my family during the winter when I was younger, so I wanted to take advantage of being in Florence to visit again the place where I first learned to ski! 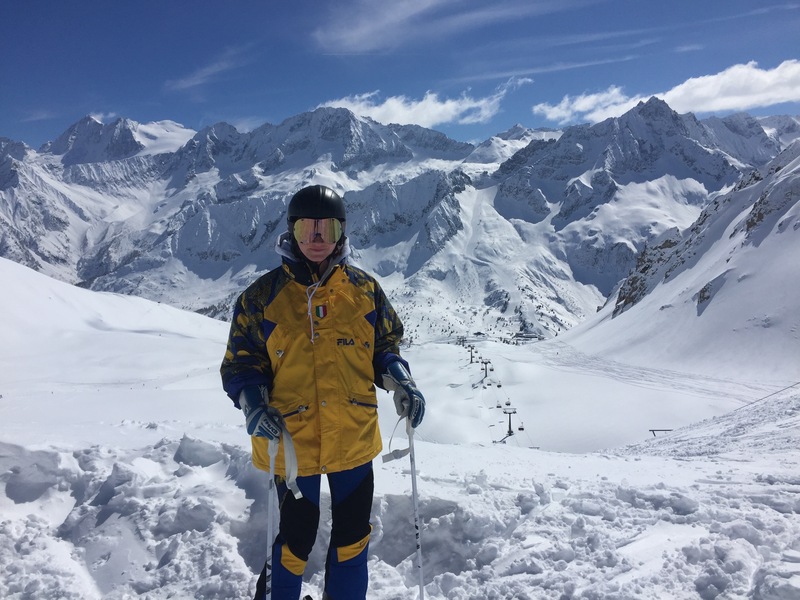 I have been skiing since I was 3 years old and alpine ski raced for about 7 years, so for me skiing is the best forms of meditation! Trust me when I say being on these mountains is more like flying on top of the world. 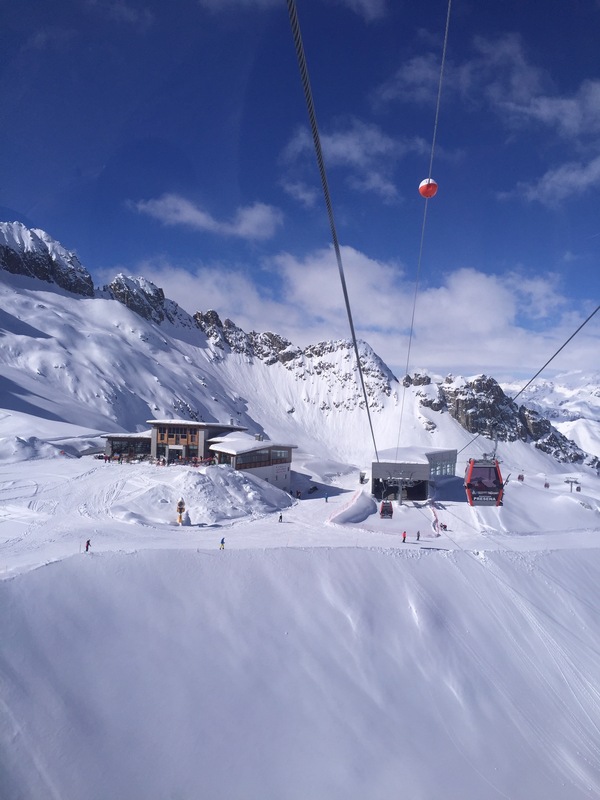 Passo del Tonale has a glacier which takes two gondolas to get to the top, reaching over 3,000 meters in altitude, where there are two restaurants as well. 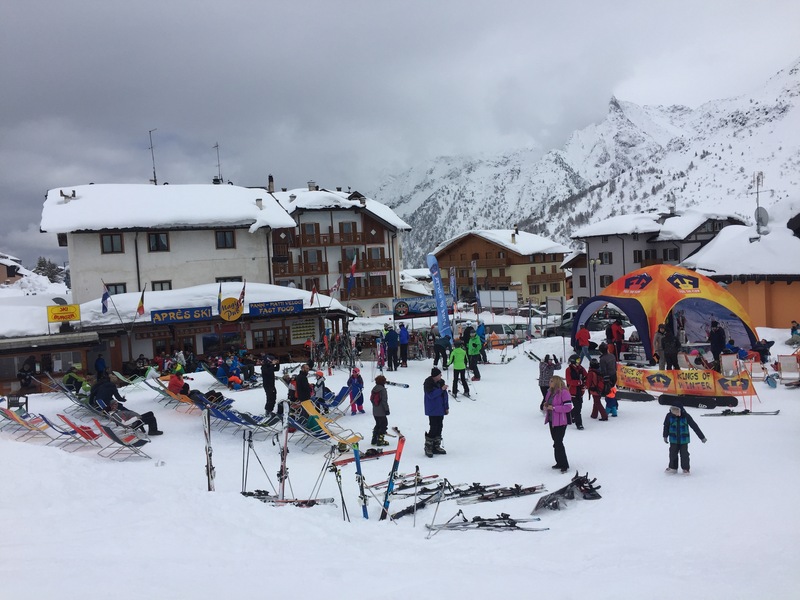 On the other side of the valley, easily crossed when you want to leave the glacier, there are the main ski slopes of Passo del Tonale. Here is where you can find the main restaurants, bars and hotels as well. 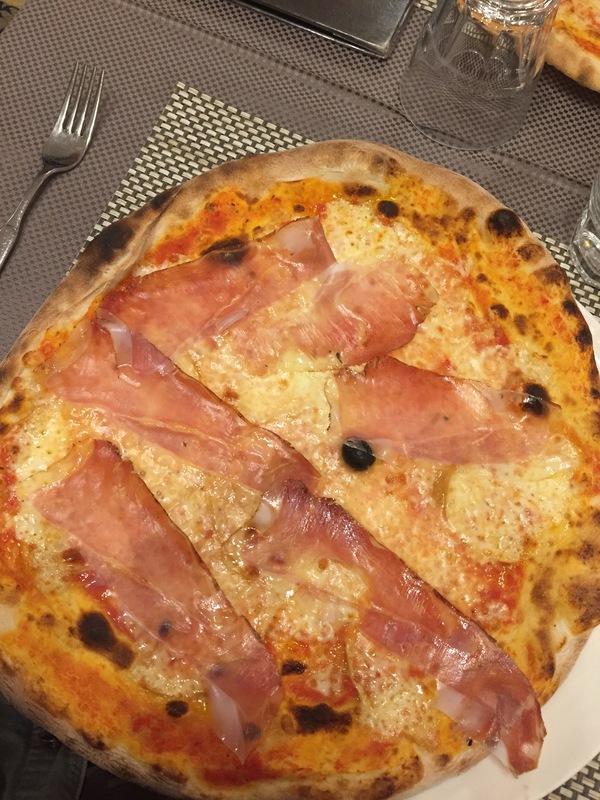 My recommendations are definitely going to La Torretta for the scamorza pizza (with speck) and the Magic Pub for apres ski aperitivo (most importantly where you can find the best french fries in the world). 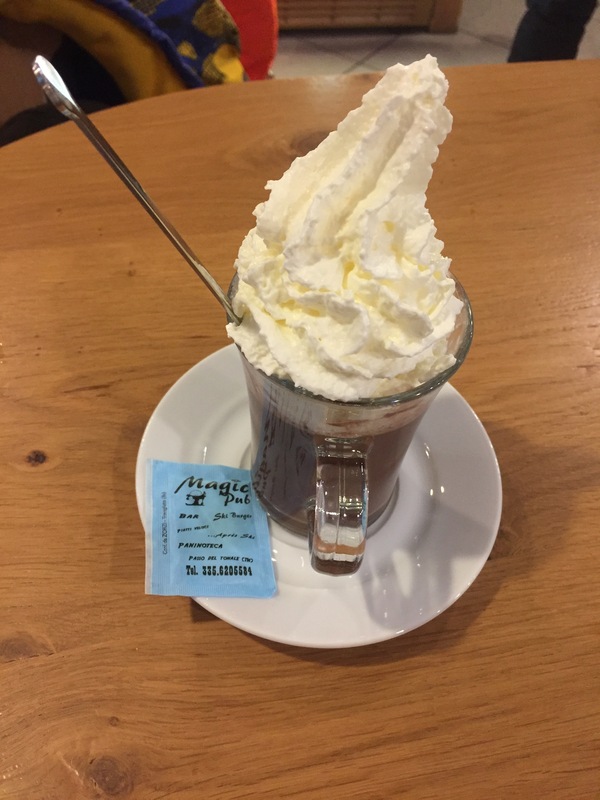 I would absolutely recommend visiting to get a taste of the Italian Alps! 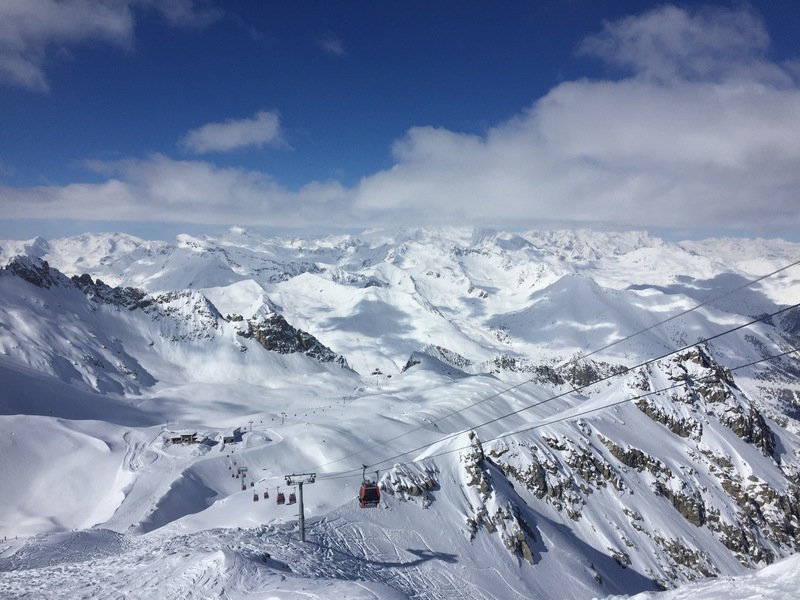 There are plenty of winter activities besides from skiing, for people at all levels, and amazing food worth the trip! If given a chance, I learned to always take it and do my best. As I’m sure you’ve heard, I was taught to never take anything for granted. And although the idea seems great in theory, in practice, it can be slightly more difficult than just “take the chance!” I’ve taken many a chance that hasn’t panned out for me or worked in my favor but, if I let that stop me, I would never go anywhere, never be anybody. It’s the chances that I’m willing to take that make me who I am. That’s why I’m here to encourage anyone interested in studying abroad in Italy, or anywhere else, to take a chance. I am an FIT freshman in my second semester of study abroad. I have lived in Miami for most of my life. Here in Florence I’ve had so many opportunities since the moment I arrived! 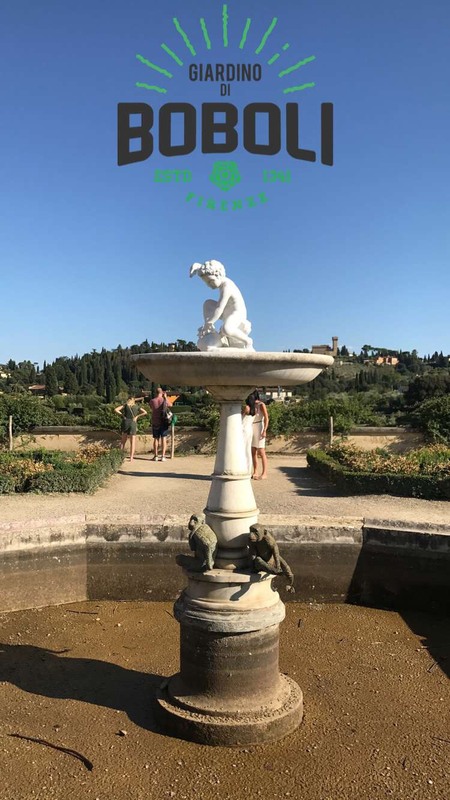 I had the chance to visit the Boboli Gardens which are far larger than any picture could lead you to believe. I almost burnt a hole in the sole of my shoe walking up and down the steps. 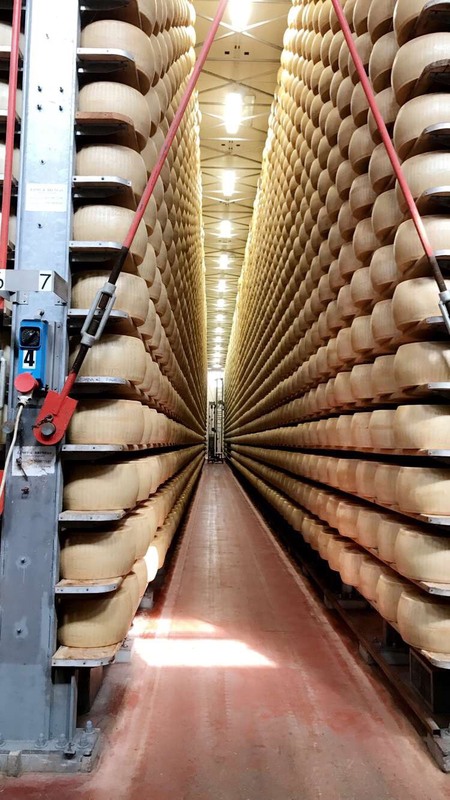 I visited a farm in Tuscany to see how authentic Parmesan cheese is made and, let me tell you, it’s far more complicated than you could imagine. There are so many awesome things to do here in Italy, made far easier by the FIT in Florence staff! The FASA events offered by the school are a great way to emerge yourself in the culture and learn new things that you could only read in books anywhere else. You are also given the chance to travel outside of Italy with FIT! I traveled to the famous Paris, France, and had the opportunity to see the Eiffel Tower light up at night! Thanks to FASA, all the FIT students and I had front row seats via a tour boat on the water. It was as picturesque a moment as any; like a dream. 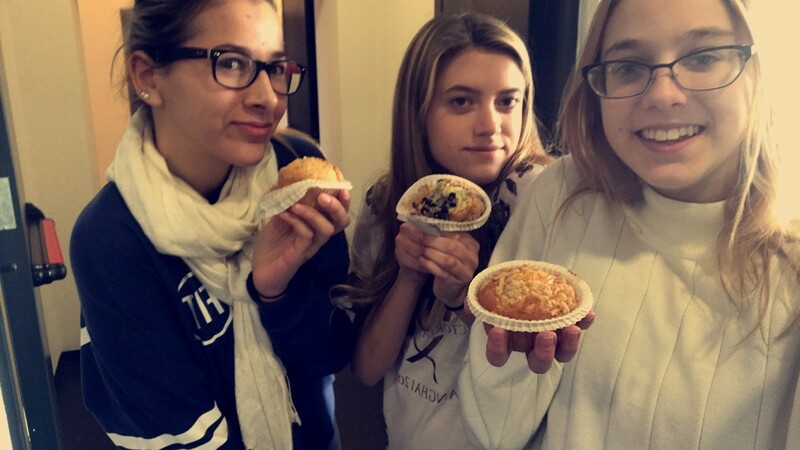 We were also allotted time to visit Versailles, a truly beautiful place to be, the Dior exhibit, and the Louvre. Seeing famous paintings and structures in person leaves me with an indescribable feeling. It’s a once in a lifetime opportunity that I couldn’t be more grateful to have to chance to experience. Although I am a bit of a history nerd, I’m sure experiencing the Eiffel Tower in person is a magnificent experience for anyone willing to take a chance! Venice was also a wonderful opportunity presented to us by the FIT in Florence group. 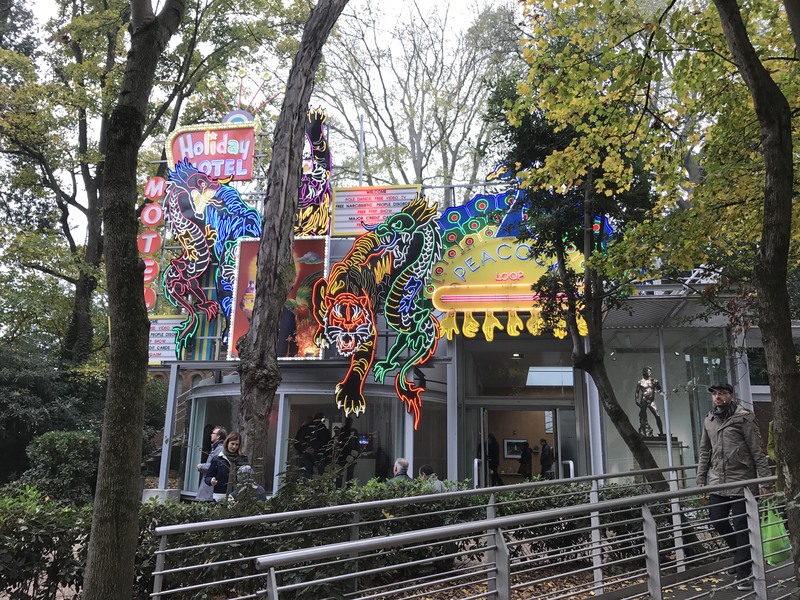 Although it was cold when we visited, the Biennale was gorgeous and full of culture. There were rooms dedicated to different countries and galleries rich with ideation and expression. My group of friends got lost exploring the city and its winding streets! The experience was one that I could never dream of missing out on. Along with the amazing opportunities provided by the FIT in Florence team, being in Italy also allows us the opportunity of personal travel. I myself have taken advantage of this opportunity to visit Rome and experience its sights. I threw a coin (along with my wish) into the Trevi fountain, I visited the historic colosseum, and I walked up and down the Spanish Steps. Rome was a lot of fun and something that I definitely won’t forget anytime soon! I plan to visit Poland during spring break and Ireland later in the semester as well. Being in Italy is such an experience that I could never fathom putting into words. The city itself is a sight to see. It’s a once in a lifetime opportunity and I’m so glad I took this chance. It definitely worked in my favor! If you’re interested in studying abroad, I’m telling you, take the chance!